From October to November, spot volumes constituted three quarters of total market volumes on average (7.3 billion USD) compared to futures volumes (2.3 billion USD). 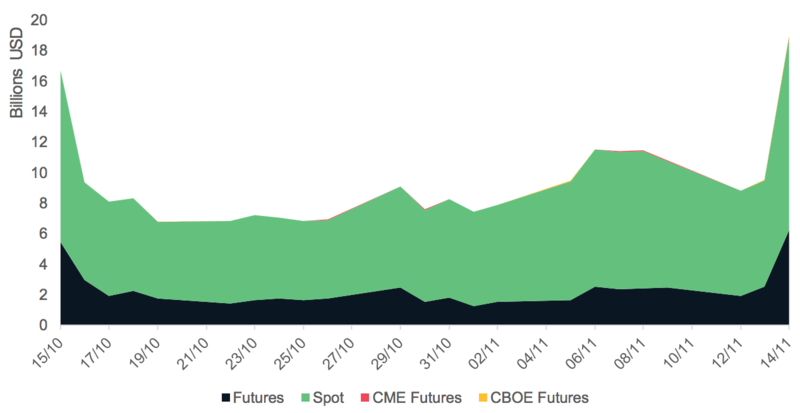 Average futures volumes1 decreased 28% since last month on average, while average spot volumes increased by 5%. Exchanges with taker fees represented just under 89% (~6.6 billion USD) of daily exchange spot market volumes. Exchanges that implement transaction-fee mining represent just over 8% (~619 million USD) of the total spot market, while those that offer no-fee spot trading represent just over 2% of the market. 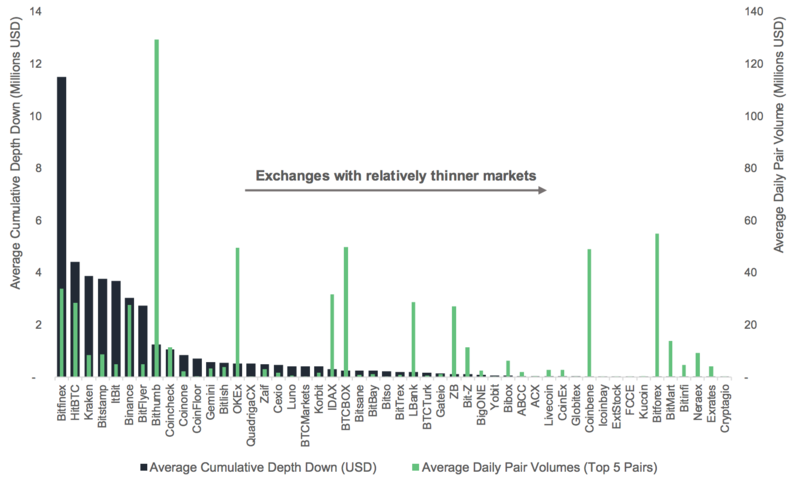 Exchanges that offer fiat to crypto pairs constitute a third of daily spot market volumes on average. Fiat to crypto exchange volumes averaged 2.73 billion USD while those that offer only crypto to crypto pairs averaged 4.54 billion USD. In terms of exchange count, more exchanges offer fiat to crypto pairs (57%) than those that offer only crypto to crypto pairs (43%). Bithumb overtook Binance as the top exchange in terms of 24h volume with an average of 1.24 billion USD. 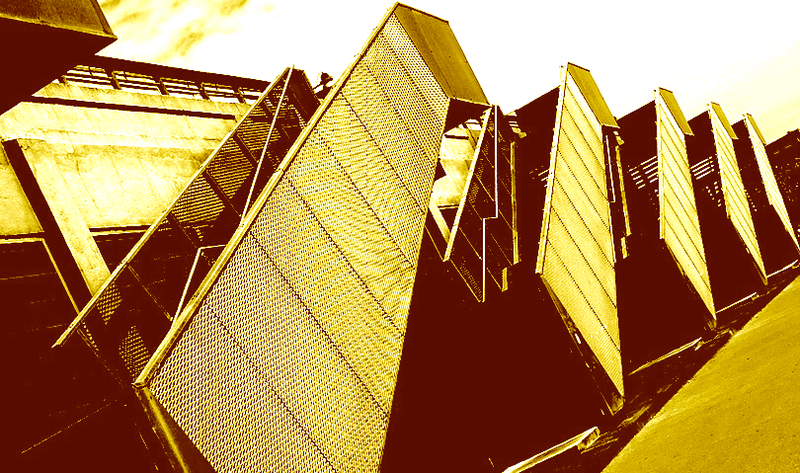 Binance (641 million USD) and ZB (560 million USD) traded the second and third highest volumes respectively. Yobit continues to offer the highest number of pairs at 7,032, followed by Cryptopia (4,321) and CCEX (2,140). 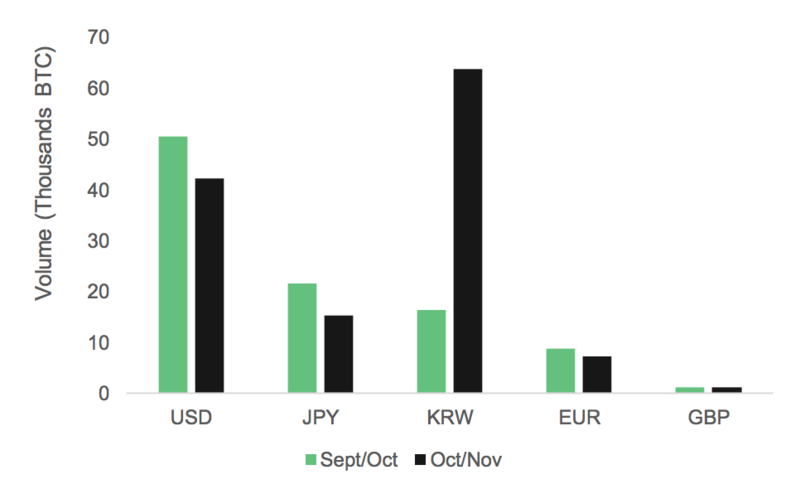 Bitcoin trading to Korean Won (KRW) dominated BTC to fiat spot volumes from the 7th of October to the 11th of November, representing 50% of all volumes on average. 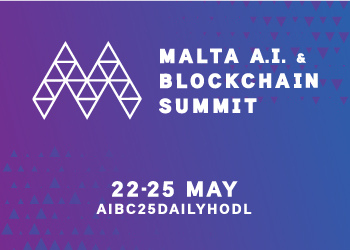 This is a 400% increase compared to those seen between the 15th of September to the 7th of October, where KRW represented a tenth of Bitcoin trading to fiat. From the 11th of November, trading then dropped off considerably. These volumes originate from Korean exchange Bithumb. 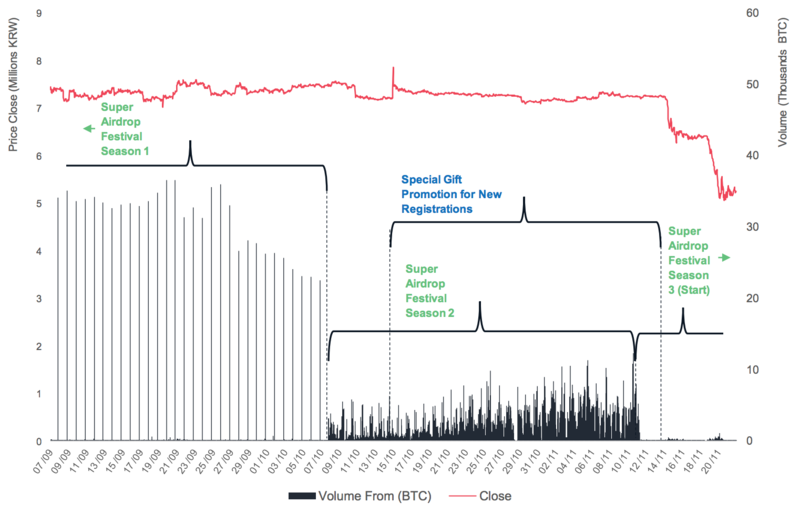 An analysis into Bithumb’s BTC to KRW volumes show that the exchange’s trading volumes appear to follow from their “Super Airdrop Festival” (1, 2, and 3) and “Special Gift” promotional events. 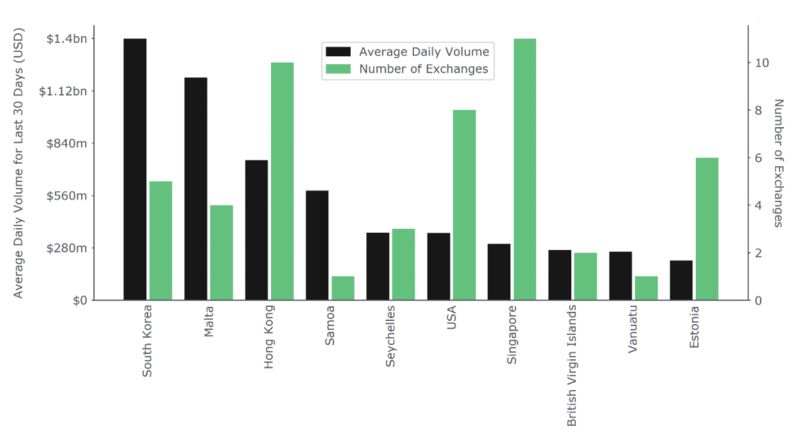 South Korean-registered exchanges produced the highest total daily volumes (1.4 billion USD) overtaking Maltese-registered exchanges (1.2 billion USD), while the highest quantity of top exchanges (relatively high volume) are registered legally in Hong Kong (10) and Singapore (11). 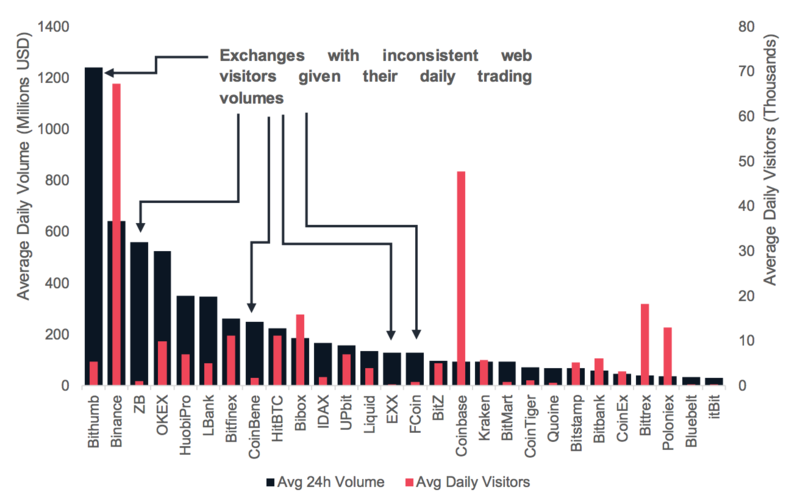 Bithumb, ZB, CoinBene, EXX and FCoin attract significantly lower daily visitors than similarly-sized exchanges. 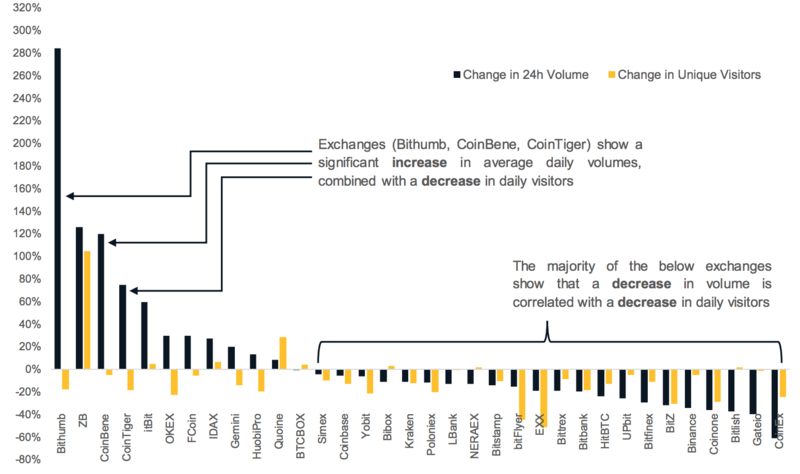 Bithumb, Coinbene and CoinTiger volumes increased significantly since last month, while their daily visitors decreased. A volume increase on an exchange, combined with a decrease in visitors may point towards incentive programs such as competitions, trans-fee mining, rebate programs or similar. 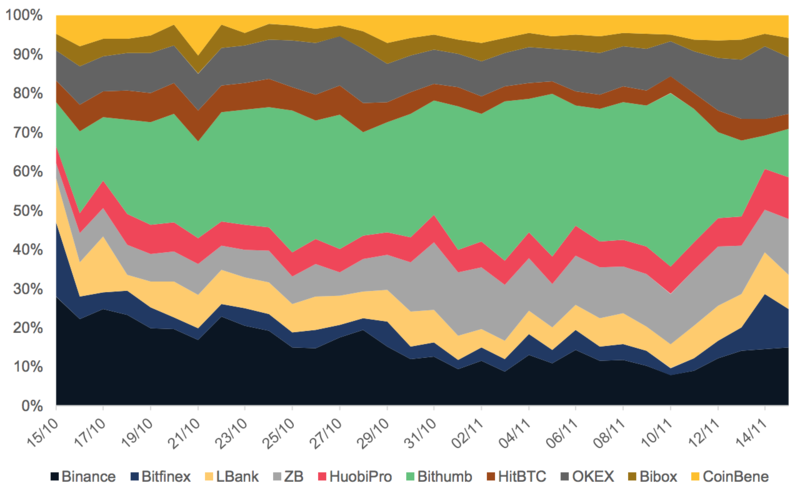 Bitfinex, HitBTC, Kraken are among those that have the most stable markets assessed by cumulative depth down, while Neraex, Exrates and Cryptagio have the thinnest markets. These exchanges appear significantly less stable given their relatively low average order book depth values over the specified period of analysis. 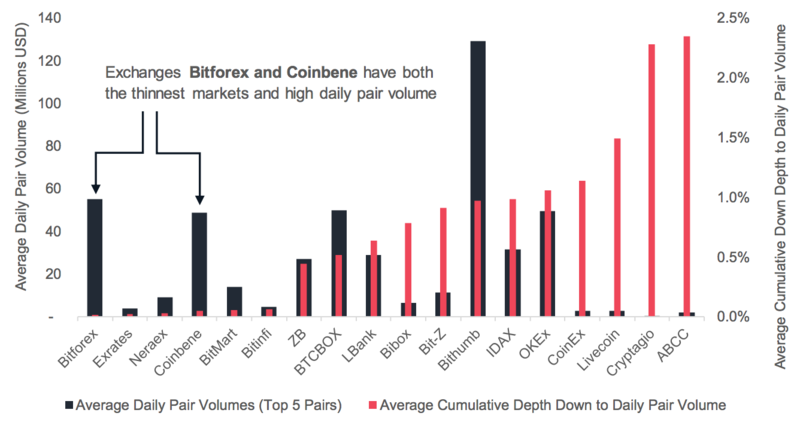 Bitforex and Coinbene have both thin markets combined with relatively high volumes. In November, two new exchanges (Catex, Exenium) were added to CryptoCompare. Out of the pool of new exchanges we have monitored since October, only Coinmate met the minimum requirements and will subsequently be added to the CCCAGG. Following our November exchange review, Bithumb will be removed from CCCAGG calculations. For a more detailed overview of our methodologies and analysis, see the full Exchange Review.